How’s it going, traders? In today’s video. 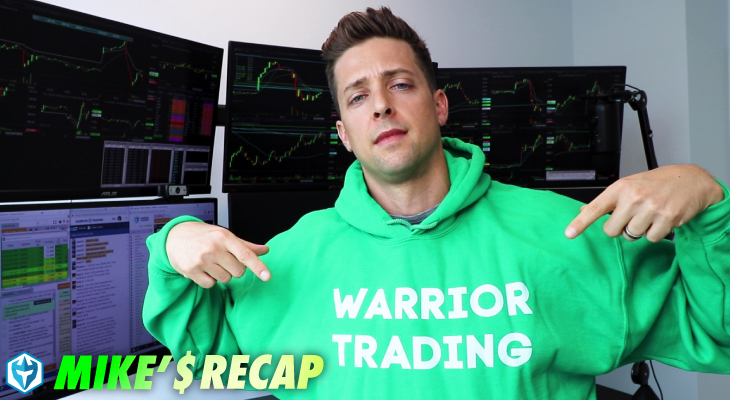 I want to recap a handful of stocks for you guys that I’ve found really interesting in these last few days, including Ulta, which is a stock that I actually traded today using options, and that actually allowed me to take an 800 percent gain on one of my orders. 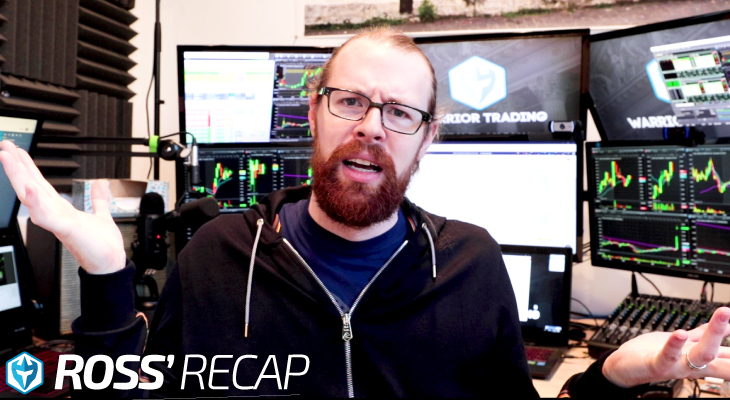 So stay tuned in this video to learn more about exactly how I identified that trading opportunity. Do you have any questions for me? Make sure to leave them down in the comments. 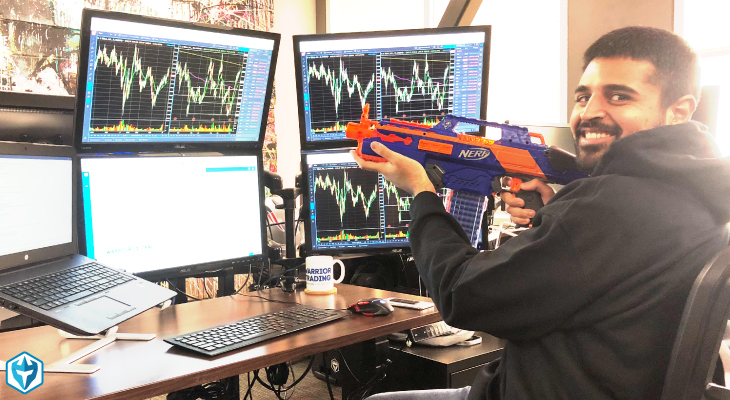 All right guys, let’s go ahead and begin today’s market analysis. 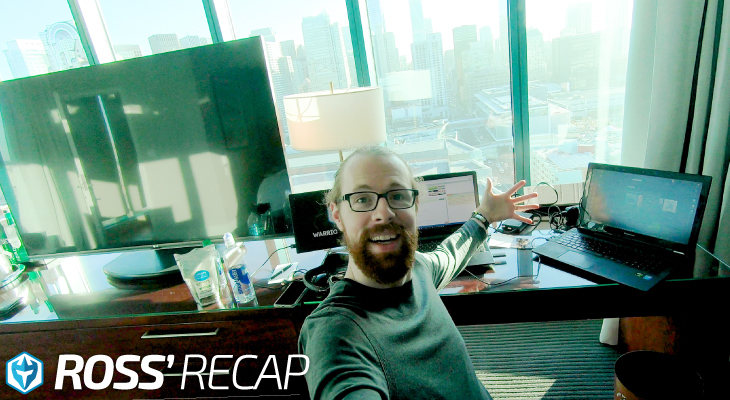 I want to begin with Ulta, which is a stock that I traded this morning, and which was also something that was able to provide me a significant return on my options trade that I performed. So before I get into the details of that trade, I want to provide a little bit of background on Ulta and why it is I was so interested in this for a trade. There’s actually multiple reasons for me considering that trade, and one of the main reasons was the fact that this thing really had a huge range expansion yesterday. In a single day, this thing went from $275 up to a high of $309. That’s about $35. Not a single day in its history, or at least from what I can see in the past, has this thing had such a huge range in a single day. We did put that kind of range in back here, but that took many days to take place. Yet in a single candle, this thing was able to rip 35 points higher. So when I saw that yesterday at the market close when I was looking through my watch list of stocks that I have here, with Ulta being one of those stocks that I’ve been closely watching these last few days, when I saw this huge range expansion, I thought to myself that this thing is likely ready to make a move towards this $314 level, which was the previous all time high. So that is the all time high that was put in back here in January, sorry, June of 2017, and when I saw this range expansion happen yesterday, I thought to myself that this is very likely to make a push towards that level. And if it does, there’s a good chance it might even decide to break through that level. Now, before this actually happened, the stock had been going through a period of a significant consolidation. So this pattern right here is called the bull flag pattern, which is something that I like to look for when I’m trading in the markets. This is one of my go to trading patterns. Back around this time when the stock had earnings, it essentially blasted off higher for a period of five days, and then it found some resistance from sellers. People were finally willing to take some profit and a buyers stepped away as well, so that kind of have the effect of putting the stock into this sideways consolidation pattern. But what was really interesting was that even with this huge move, and even with the resistance that it encountered, the stock stayed afloat and it consolidated sideways. So when I see this kind of action, I can picture this being a bull flag pattern that will likely lead to some kind of breakout in the future once we pass any kind of trend line that the stock has formed. So that trend line line would be this one here. Essentially, by connecting these two high points here, we were able to find a trend line on this stock that was tested on two other occasions. So here we tested that trend line as well as here and we rejected it. When you see that kind of action revolving a trend line, that tells you it’s a valid trend line that the market is closely watching for some kind of break out or break down. In this case, this was a breakout setup. So once the stock decided to make a move past that trend line, we can see that in the following few days, it had a significant move higher. So this was actually a setup I called out in our day trading chat room for members to consider this long at $283. It was really nice to see this thing move all the way up to $297 over the next two, three days. Now, this one was a little bit challenging with this bull flag pattern because what happened was on this day here, so this is the five minute timeframe here, and this yellow line is that same trend line that we just saw on the daily. So when the stock made that move past the trend line, this is the action we saw on the five minute, made that breakout up to $297, right? So a really nice breakout for anybody who was able to capture that, but what was really tough with this one was that on this day here, it closed at $290. The following day, it gapped down to $282. Now, there was a catalyst behind this gap down. Ulta was having an investor conference that day, and I’m assuming that sellers decided to begin exiting the stock, anticipating some kind of bad news. Actually, they got that completely wrong. So anybody who was selling got this move completely wrong because the conference ended up being a positive event for the company. I think they increased their guidance and other such fundamentals. But just looking at the chart, you could see the fact that even with this gap down, this thing managed to reverse that whole move of the gap down. So this is called a gap fill move. As we can see, we closed here at $290. The following day, we opened at $282, right? We sold off, and then what happened was the stock retraced all of those losses and did what’s called a gap fill. So this was a gap here because of the difference in the closing price versus the opening price, but the stock retraced that gap and went right back into trading at those prices that it had been trading at these previous few days. And at that point, the stock really began to rip loose because a lot of sellers probably got caught off guard. A lot of people probably tried shorting the stock and had to cover their shorts, and that just provided fuel for the fire. And this thing just had a incredible one day move of $35 from the bottom to the top. Now, when I saw such huge range expansion, just looking at the daily chart, we can see that this one single candle has bigger range than any candle that we can see on the daily chart, even though the move is similar to what happened here, this move took five days to take place, whereas we made that kind of move in literally one day. So that tells me there’s a lot of pressure to the buy side on the stock. And when I saw this huge range candle yesterday, I would wanted to go long the following day, which was today of course, for a long on this stock, for a move up to this $315 level. And I did that using call options. So let’s go ahead and review more on the trade that I took this morning. So the market opened right here. One thing you guys may notice is that I have removed pre-market and after hours data for my chart. So this candle here was yesterday’s close. This candle here is today’s open. So we don’t see any data in between. I prefer not to watch the pre-market data because it essentially just adds a little bit of noise. So when I saw the stock open this morning, it had a red candle originally, but as soon as it started moving past the high of that red candle, I decided to buy some $310 call options that expire today. So this is when the stock was at $304. I bought the $310 call option, which had no intrinsic value, meaning that for that option to really make or generate any kind of value, the stock had to go towards $310 and hopefully surpass $310 and hold those values for that contract to expire in the money. At this point, it was out of the money. So it was trading relatively cheap. I was able to buy $310 call option for 30 cents here. So it only costs me 30 cents to buy that option and I was able to sell it for $2.75. That was roughly an 800 percent return for my original entry. Now, I had bought five contracts at the 30 cent mark initially. I added two contracts at 60 cents when I saw we broke above this trend line right here. As we broke above this trend line, I add added to my position and that gave me an average of 38 cents on seven contracts. Now, this was a little bit of a light position. I didn’t want to risk too much money on this because I wasn’t expecting to either lose the entire premium, whatever it is that I put into the trade, or I was going to stand to make at least 500 to 1,000 percent, best case scenario. And it was really nice to be able to capture 800 percent on one of my fills. I didn’t sell the entire position at the 800 percent mark. I had to sell some for 85 cents as I waited for the stock to hopefully make a move back up towards this $315 mark. I sat through this pullback, through this grind higher. And then roughly around here, I became pretty cautious when I saw this pullback, and I had to sell those options for 85 cents at this point here. When we started breaking below yesterday’s high of day, I decided it’s no longer worth holding onto this trade. And I sold those for 85 cents. So one of my fills was $275, which was roughly 800 percent. And then this 85 cent fill was about a 200 percent gain or so, a little bit under 200 percent. That came out to an average of me selling at $1.46. So the same contract that I bought for 38 cents, I was able to make $1.08 in profit per contract. That represents a gain of 284 percent. I would have loved to have taken the entire position off at that 800 percent mark, of course, but hindsight is 50/50. I did feel like this thing had the potential to move up to $315. If it made a move up to $315, those $310 call options would have been trading for roughly $5 since the stock is now $5 in the money. So for a contract that I paid 30 cents for with the possibility of me being able to sell it for $5, I definitely want it to hold on for that potential. But when I saw this pullback start happening and we started exhibiting some weakness, I decided to just go ahead and get out, take my winnings from the trade. So $275 and $85 where my exit there for a 300 percent average gain or so. And that was a good exit because the stock did grind lower from there. And now that $310 call option has expired worthless. The market closed or also closed here at $308, and that contract is now valued at $0. So the same contract I bought for 30 cents this morning and was able to sell a piece of four to $2.75, it later expired worthless, and that is the risk of same day options trading. 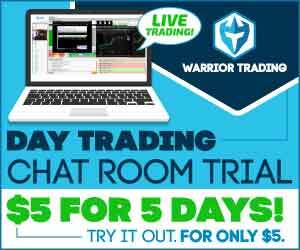 But if you go through my options trading course, you’re going to be able to learn the options trading strategy that I employ on nearly a daily basis to help me ensure that I’m never letting a contract expire worthless on me. This was actually a special scenario where I went in with the intention of knowing that there was a possibility that whatever I put into the option, that I will potentially lose that. So I might lose 100 percent on this trade, but at the same time, I knew that the potential to make 500 to 1,000 percent existed. So I was okay with losing 100 percent. But for the most part, my option trading strategy relies on me keeping my stop losses around 20 to 50 percent. So I usually like to lose no more than that much in order to make 100 percent or more. 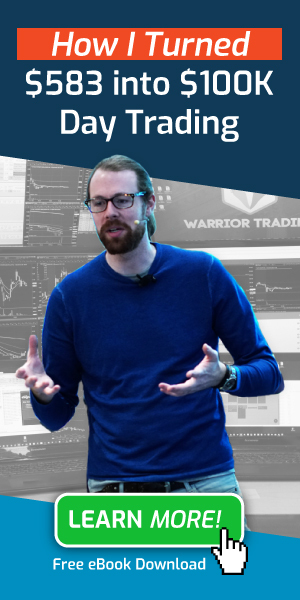 So if you are interested in learning more about my options trading strategy, I definitely recommend that you go through my options trading course, which is now part of the Warrior Pro. So yeah, also turned out to be a really nice trade or I made an average return of 300 percent, but caught an 800 percent fill on my best exit. So I really do wish I had taken that entire position off there, but that’s okay because if the stock did make that move up to $315 like I expected, this could have been a home run trade here. So that was Ulta, a really remarkable trade this morning. Something else that I’m keeping a close eye on is the major market indices, including the SPY, which is the S&P 500 ETF. Now, members who attended this week’s advanced mentor session, those of you who are Warrior Pro members, you guys may recall my comments were I mentioned that the SPY was a pretty good looking short at this $281 mark because of all the resistance that we’re encountering there. And it turned out to be the case because we had a significant pullback today and the market went all the way as low as roughly $276 from this $281 resistance. I’m sure certain put options expired, made some really good returns on anybody who was able to grab some put options into this resistance. So what I was looking at here was these two major resistance levels, $280, which was a resistance level that came from February 2nd. It was the height of the gap down day before the first major correction that took place this year. Then that was a level we tested as resistance right around here. And eventually, the market regained its footing and was able to reclaim that level. And that’s when it became a pivot level, meaning now it became a support level. And now that prices were on the opposite end of that level, buyers are now using it as a level of support. So we can see that right around here, the stock found some support. And then on this day, the stock actually bounced off of that level to the penny. So that tells me that this is a valid level that people in the market are watching closely. People are going to take their trades around this level. We also have this $281 level, which was the high of this bounce that took place back here. So with these two major resistance levels, there was a very good chance that the market may want to pull back from the resistance. Not only did we have heavier resistance, but we had a major gap down below. Now, what I mean by gap is we can see that on this day here, the market closed at $275 and opened the next day at $277.60. That represents a bit of a price gap in the chart. When you have this kind of gap, there’s always a good chance that the market may want to go in and fill that gap. An example of that is what happened here. We saw that on this day, the market closed at roughly $287.50, opened the next day at $288.80. And that represented a price gap in the chart. Over the following few days, the market came back in and filled that gap before, once again, moving higher. So with this resistance level, I had mentioned to Warrior Pro students who attended our mentor session that there was a good chance that prices could reject from this resistance level and potentially come in and fill this gap. So it was really nice to see that that’s exactly what happened this morning. Now, SPY actually did not fill the entire gap. The other end of the gap landed here at $275 and we only came as slow as $276.20. So this one did not fill the gap, but what’s interesting is the QQQ, which is the technology index ETF, did fill the gap. So this is an example of why it’s important to analyze all of the market indices if you’re performing any kind of large cap trading because those other indices are going to provide you some key insight into your trading analysis. What we saw in QQQ was it actually filled the entire gap. So the other end of the gap landed here at one $170.40, and QQQ actually came in and filled that gap today. The other end of a gap usually tends to be a support level and we can see that the market actually used that gap level as a major balance point for the stock. The stock bounced right off of the other end of the gap. And that’s likely why SPY also have the significant bounce before filling the gap. These major indices track each other very closely. So what one is doing, the other is likely to follow. Now, SPY was going into the gap, but it didn’t have enough sell pressure to fill the gap. If you were observing, let’s say you were short on this and you were looking for that gap fill. If you were observing QQQ, you could have made that determination that hey, QQQ just made the gap fill and that’s going to be a level of support for QQQ. So if QQQ bounces from here, SPY will likely bounce as well. And that’s exactly what happened. So anybody who was shorting this for a gap fill, they could’ve used insight from the QQQ to take their profits and not get caught in this huge bounce that took place here because the QQQ already filled the gap. Whereas the SPY had some relative strength and did not fill the gap. So the fact that the SPY didn’t fill the gap today shows me that it’s actually pretty bullish. With how big of a bounce we’ve had these last few days after this major correction, even then, they failed to fill the gap and closed higher on the day, or not higher, but it did close back above the gap. So that tells me there’s some kind of strength in the SPY index, whereas the technology index is relatively weak. This stuff is very heavy right now. A lot of selling going on in technology like technology sectors. So QQQ was able to fill that gap. Now, let’s see. Some of the other things I’ve been watching closely include this MRO, which is an oil stock. I really wanted to go short below this consolidation that had formed, but unfortunately, we actually gapped lower today. So when you gap past your desired entry point, it’s usually best not to chase it. I wanted to short, going down to the 60 minute timeframe, I wanted a short below roughly this $18 mark, but unfortunately, the stock actually opened down at $17.66 today, which made it an unwise short to chase. And that was a good decision because even though we had some selling from the open, the stock retraced much of those losses and tried to go for a gap fill move. So that was something that was watching closely for a short. Now, I could try and short this at gap fill now that it’s gapped lower and it’s trying to move back towards the other end of the gap. That could provide some resistance for this stock, and it could definitely help it roll back over. So that’ll be something that I’m watching closely over the next few days to potentially take a trade there. I’m going to wrap it up with this Tesla here, which is something that I’m watching very closely for a potential trade. Now, this is a stock that has a very strong cult following in both directions. You have very long biased stockholders and then you have very short biased traders who think that this stock is going to collapse. So people who are long think that this thing is going to blast off to the moon, whereas people who are short think this thing is going to go to zero. So it’s a big battle that’s going on between the longs and the shorts. Now, right around this period, there was a whole lot of bearish headlines coming out on Tesla. Everybody was expecting Tesla crash around this time, and when that didn’t happen, we saw a sharp reversal back to the upside. I’m sure there’s a lot of short covering going on here and definitely a lot of new longs piling into their trade, existing longs adding to their trade as they see that prices did not break down where they should have. 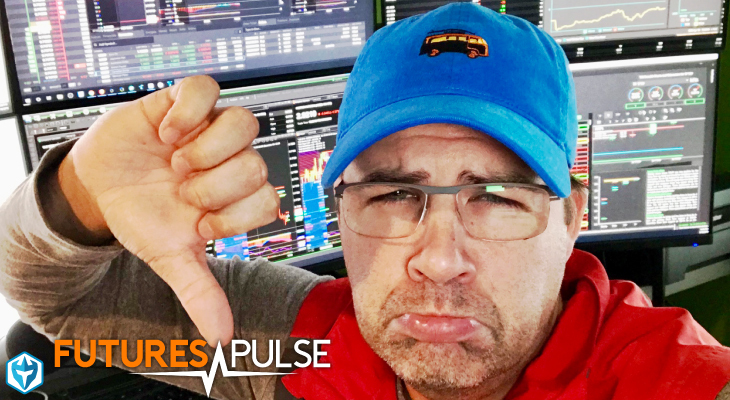 At this time, it was just a very bearish time for Tesla with all of the bad headlines that had came out. Just, it provided fuel for the stock to potentially crash lower, but it failed to do that, and now the stock’s bouncing higher. So we see that the stock has topped out three times at this $387 level, so on this occasion here as well as here. If we begin to move back through that $387 level, this thing is likely going to begin blasting off higher. That’s going to be a very decisive point for this stock because we’ve gone through many months of both longs and shorts trying to gain control of this stock, yet neither has really gained control. We’ve kind of consolidated sideways. We’ve been stuck between this $400 range down to this $250 range for roughly almost two years now. So if the stock does begin making a move back up through this $387 level, that could bode very well for a breakout to the upside because that’s going to help longs confirm that the direction is most likely higher, that this dog is probably not going lower. The stock is probably going higher, so I’m watching for a breakout of this trendline as well as that $387 level. If we do make a move past both of these levels, those are going to be places where I’m going to want to consider some kind of long on this trade. There’s definitely a good chance that we could see Tesla surge higher over the next few months. So something that I’m watching closely along with a handful of other stocks that I have on my watch list. Now, if you want to get a copy of this watch list that I observe on a daily basis, you can send an email to [email protected] and I would be happy to provide you a copy of my watch list so that you guys can also follow along and observe these same stocks that I’m watching on a day to day basis. All right guys, I’m going to go ahead and wrap it up there. I hope you guys found that video to be informative, and I’ll see you in the next one. Thanks everyone.